If you asked me about the most common questions I get asked on a regular basis from my time spent in the moving industry, instantly two stand out from the rest. The first being, “How long does it take for my stuff to be delivered?” And the second most common question always relates to moving insurance. From what types of insurance options are available to what does my insurance cover? We wrote a blog about how long, long distance deliveries take related to the first question here. I’ve decided to write about the main things I consider when talking to a customer about moving insurance. What is, or at least should be on most customers’ minds is how much insurance typically costs. Moving insurance is expensive and just because of this, people think it covers a lot more than it actually does. For example, with the emergence of stores like IKEA, presswood and particle board furniture has grown in popularity. The attraction is the cost of the furniture (Although I do not believe you save much, but hey, to each their own) but, with lower priced furniture comes lower quality, which essentially means they are at a greater risk for damage. It did not take long for insurance companies to pick up on this, and the majority of them have decided they will no longer insure furniture of this quality, no matter how much you pay for insurance. So with that in mind, let’s go over the reasons why you should purchase insurance coverage, and the reasons you shouldn’t. The economy is doing well and that usually promotes more Construction , home buying and everything that is related to growth. Unfortunately it also makes pretty much everyone an expert . My good friend who happens to be a Realtor always says that “if you throw a rock you would probably end up hitting a realtor ” and I say that you might hit a Moving Company or a House Flipper and so forth as well. The demand creates that supply and the unfortunate issue is that not all supply is quality. I recently tried to get quotes from other movers just in order to gage what is out there and I was horrified , many companies are working out of home addresses , will store the clients items in a public storage vs. a Bonded Warehouse and mandated by D.O.T and Insurance. Many of those companies do not have their own 18 wheelers who would carry the clients items coast to coast and yet they all claim to have them . I guess that the Internet who is a wonderful resource and tool is also a dangerous one , for a small fee anyone can create a website that looks fantastic , but behind it is all smoke and mirrors. I think that the lesson here is to visit the actual location and facility of the company , know your movers and make sure that you feel secure . after all Moving and Storage Companies Move everything that is Dear to you ; they move your life . This change could be huge since it would reduce cost all the way down to the consumer level on Fuel surchage and allow us to be quiter with our oporation and cleaner. As of now The Eagle Lines Fleet of trucks and Semi’s use clean diesel and with a fleet not older than 3 years we comply with all Federal and CA emmision regulations. 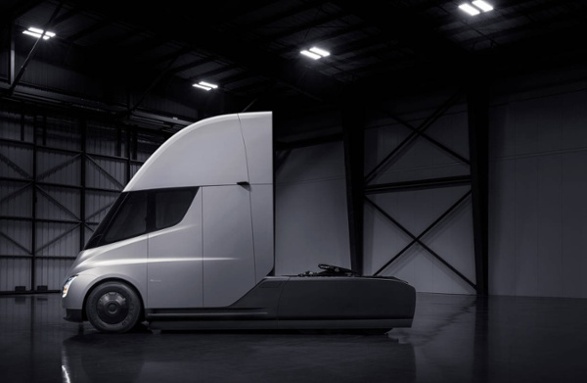 The ultimate goal of such vehicles is to become Autonamous, however in an industry such as Moving , that will take a long time since we oparate on a “white glove” model where all the cargo is handled by hand and where drivers are requiered to be experienced and know the best way around large and smaller cities around the United States. I assume that we will not see it in our lifetime where Robots will replaces Movers since “robotics falls significantly behind the rate and incidence of adoption of automation ” and since Moving , much like construction , will always take place onsite and not in a designated parameter such as a manufacturing floor of a factory. Eagle Lines is very excited about the future of Technology and how it will play a roll in the future of the moving industry. 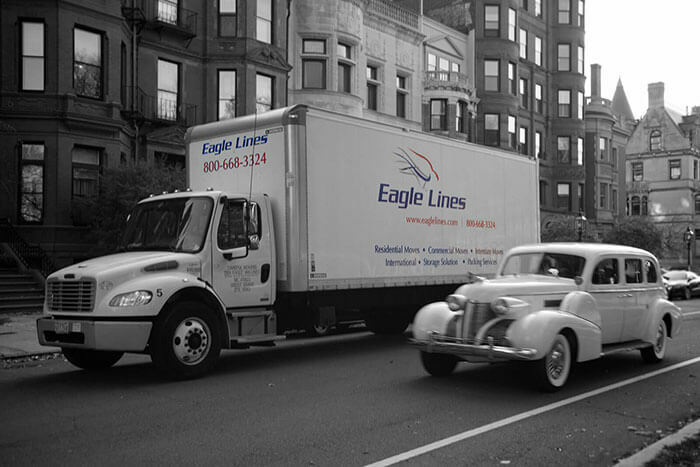 Welcome to Eagle Lines moving blog. The one stop shop for everything moving. Here you will find useful tips and articles related to anything in the moving industry. Save time and money utilizing the information you find here and create a stress-free move!